As your business grows, there always seems to be something sucking up your time. You know the feeling. You’ve worked all day long, but feel like you accomplished absolutely nothing. These time suckers could be anything: answering the hundreds of emails you get everyday, filing the stack of paper on your desk, or sorting through the mail. With so much to do, it can be hard to know what is important now, what will be important soon, and what can be pushed to the back burner. Learning how to effectively prioritize, and delegate tasks that waste your time, is key to a successful work day. 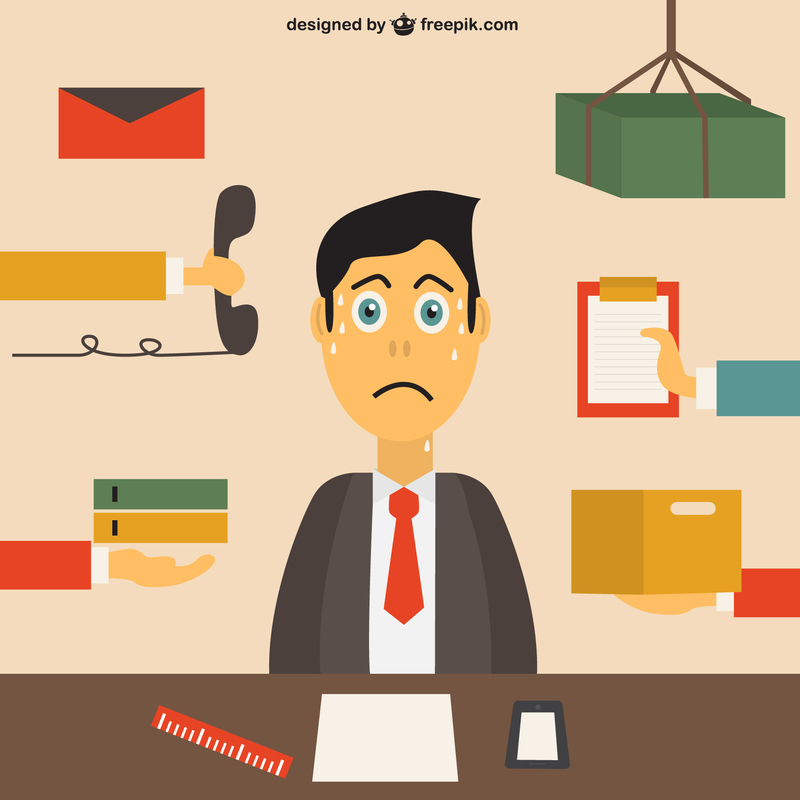 While prioritizing and delegating tasks may see like common sense, many business owners are having a difficult time with this, according to the 2015 Small Business Success Study. Think about this: if you spend 50 hours a week at work and paid yourself $100/hour but are having to devote 20 hours to tasks that could be done by another, that’s $2000/week not devoted to growing your business! Wow… that’s a lot of money and potential work being left on the table. Well, first you need to figure out what needs to be done! Get everything you have to do today out of your brain and onto paper. This will help you visualize what needs to be done and will help keep you from missing anything important. 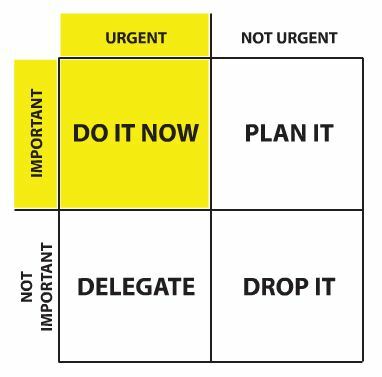 As you can see this method clearly lines out where your priorities should be and what you should do about that task. The first time you use this method, it may feel like everything needs to go in the Do It Now box. If you are having trouble figuring out where a task should go in your Eisenhower Box, ask these two questions: Is this a Task I wish I did not have to do? & Does this task require my Expertise? If you don’t want to do a specific task or the task does not require your specific talents, delegate it! Use it as an opportunity to empower key staff members to make decisions on your behalf. If you don’t have enough staff to take on some of those tasks, there are many options for virtual assistants or free-lance assistants. One such option is Zirtual.com, but there are many others that can be found through a simple Google search. So do yourself and your business a favor, prioritize your day and delegate some time sucking tasks to another! It will help you keep your sanity, help you make more money, and increase your growth. Trying to do it all doesn’t promote growth; it prevents it.